« Can We Call It a Comeback? Congrats to Tyler Resch for becoming our next Athlete of the Week! Tyler has only been with us since June of this year. Tyler was a collegiete rower for the University of Wisconsin. And if any of you know any collegiete rowers, you know they are tough as nails and have a tremendous cardio output. While blowing by everyone on the rower! Every week Tyler continues to build on his strength and conditioning while putting up very impressive times and scores for doing CrossFit for such a short amount of time. Tyler, thank you for all you do and bring to our CFSF community. This entry was posted on October 4, 2010 at 5:28 pm and is filed under Members. You can follow any responses to this entry through the RSS 2.0 feed. You can leave a response, or trackback from your own site. Great job! And congrats Tyler!! Congrats Tyler, you deserve it man! Well done, buddy! Thanks for the rowing tips and for bringing the wizard staff game to Sioux Falls. This guy is killing it and he hasn’t even been there that long! Congrats and great job setting the Crossfit standard! I love you TY! 🙂 you inspire me everyday to be the best that I can be at all that I do!!! 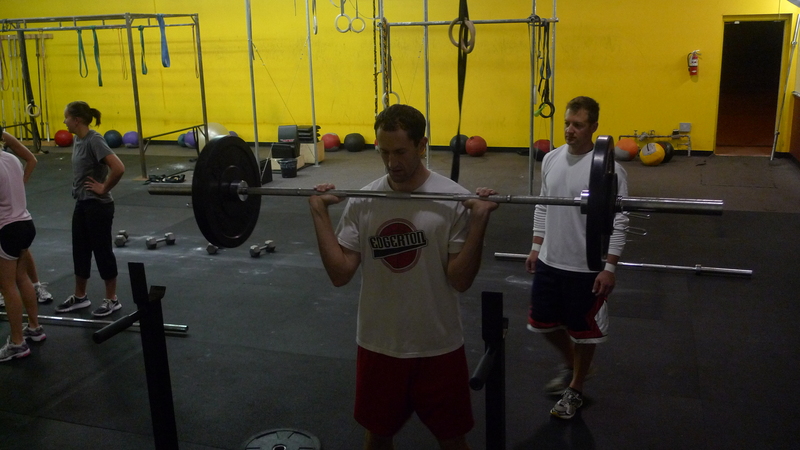 Way to rock out at Crossfit and to keep pushing yourself with each WOD!